If You Haven’t Heard These 10 Things, Do You Even Go to the University of Florida? You are here: Home / Campus life / University of Florida / If You Haven’t Heard These 10 Things, Do You Even Go to the University of Florida? Check out 10 sayings all Gators understand after living on The Swamp. Join Swampy UF Memes for Top Ten Public Teens, a Facebook group for relatable and funny memes created by the glorious admins that suffer alongside their thousands of members. “Did you see Zach’s post on Swampy Memes?” asked UF sophomore Zarella Berr. Most memes are trending or taken from global current events, then edited to relate to different campus events and relatable experiences. If you haven’t tagged your besties yet, you’ll hear this question throughout the swamp. The myth… the man… the legend. His name? Dennis Kane a.k.a. Daddy Dennis. “Hey have you seen Dennis lately?” asked senior Vanessa Bundy. You’ll see the infamous Turlington dancer yelling and moving his toned legs around the edge of campus. Wondering why he never ventures onto campus grounds? UF banned Kane from campus. The first incident happened in 2012 when Kane yelled at students and made threatening statements. Then in 2017 he harassed another student. You won’t catch his dance moves on campus again until the ban lifts in 2020. 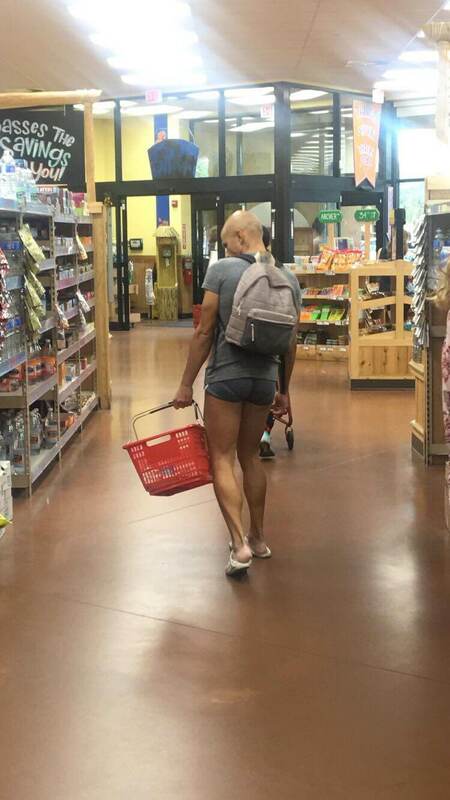 No one completely understands what Dennis does when he isn’t yelling at students or dancing in booty shorts. 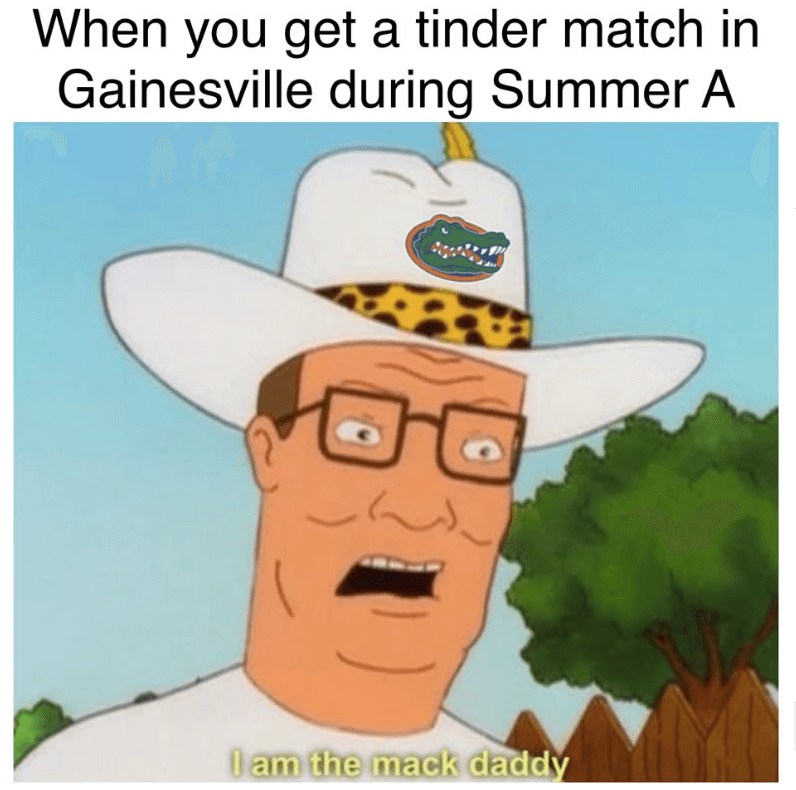 But he is a true Gainesville icon. “Wanna get Krishna?” asked junior Rebecca Ragan. Vegetarians and vegans know where they can get their delicious green fix. Grab a Krishna lunch every day during the week at Plaza of the Americas, served by volunteers of a local Krishna society (ISKCON of Gainesville). With a weekly menu, the group offers food like eggplant with kofta balls, yellow mung bean soup and halava for desert. 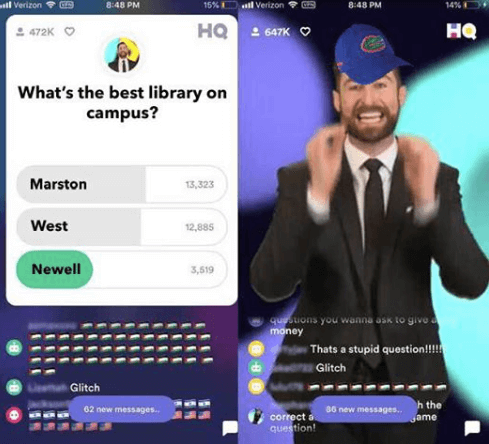 You just walked into the biggest on-campus rivalry the city has ever seen: Library West vs. Marston Science Library. “No doubt Marston beats West,” said sophomore Aurea DeSouza. The Marston basement is better suited for people working or studying in groups, equipped with large tables and study rooms. When you need quiet time to study and outlets to charge your gear then head to West. Is there true winner? Was the third floor of Marston really overrun by wasps? We may never know. “Stop requested,” are two words every Gator has heard, pointed out by Ragan. Step foot in any RTS bus or grab a Later Gator to hear the rest of the automated message. 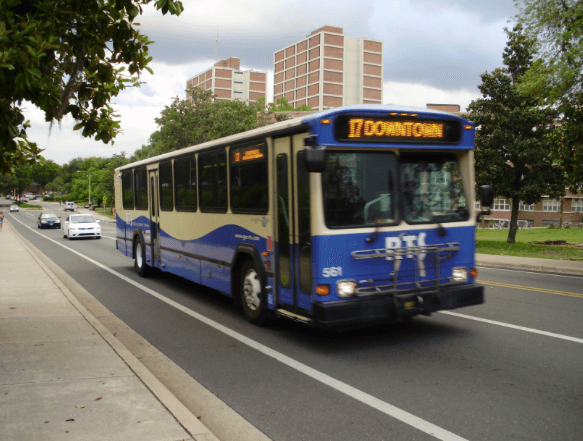 The Gainesville Regional Transit System runs through Gainesville, covering the University of Florida and Santa Fe College campuses. Most students grab a jacket before boarding the RTS bus though, despite the 90-degree weather outside. Why? Because the drivers like to keep it below freezing on the bus, basically almost causing a pneumonia epidemic. Don’t forget to say “thank you” to the driver before you hop off the bus! After assessing the damage at UF by Hurricane Irma, students and faculty said goodbye to the beloved NPB tree. This large oak tree towered over Museum Road in front of the building. After the storm split the three into three enormous pieces, memes began and The Crocodile claimed the NPB tree was an inside job. Weeks passed before UF cleared the tree and planted new trees to grow in its place. R.I.P NPB tree. Your memory lives on forever. Gainesville’s Relish serves up affordable, mouth-watering burgers and tasty poutine made with real cheddar cheese curds and brown gravy. “Wanna go to Relish?” junior Caroline Gaspich asked. “I consider myself a food connoisseur, and Relish’s burgers are never a bad idea,” she added. Relish offers burgers of all kinds: angus beef, turkey, veggie and salmon with a variety of sides, toppings and sauces. Whether headed out of Midtown tipsy or enjoying a stroll downtown, stop by Relish to refuel on an all-American meal. 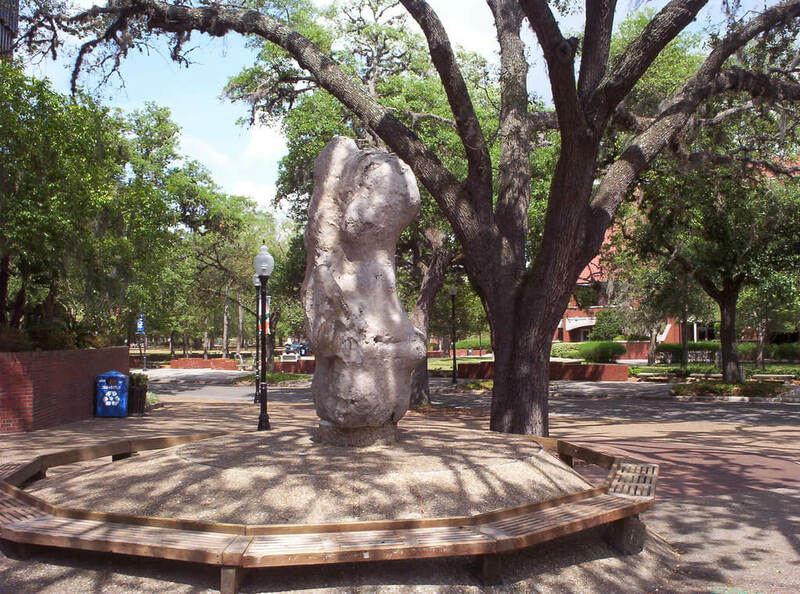 The 10-ton rock that sits in Turlington Plaza is just “the potato.” The Crushed Stone Corporation gave the famous potato to the UF Geology Department. “Meet me by the potato,” Ragan said. A perfect place to meet and close to all the most popular facilities, the potato has been one of the most famous UF landmarks since its introduction to the campus in 1984. You’ll find students sitting by it throughout the day, when the Florida sun burns just a bit too hot. Or catch the UF Drumline at the potato after every home game for an awesome jam session. Is it a coincidence that it’s located just across from another the “French Fries” another famous UF landmark? It’s great to be a Florida Gator. In all kinds of weather, this will always hold true. GPAs may plummet, tears will shed and our football team will probably disappoint. But no other school out there exists like the University of Florida. When Richard Spencer came to UF last year, colors flew around campus showing love and support for all, sending a loud message that Spencer was not welcome. UF is a school full of friends and made-family. No matter who you stand next to at a football game, all will sway arm-in-arm to sing “We Are the Boys from Old Florida.” It is truly great to be Florida Gator. Madison is a fourth-year public relations student at the University of Florida. She is the PR chair of the UF Equestrian Team and is often seen eating at the Panda Express on campus. When she isn't doing homework or writing articles, you can find her binge-watching New Girl... again.